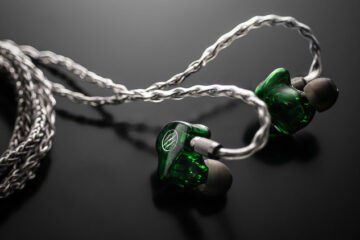 I have been swimming in IEM’s of late, some seriously good like the RHA MA750i, some less so like the ADV Alpha but nothing beats the initial eyebrow when presented with an Urbanears IEM review request. Ah now with the Zinken I was actually quite shocked at how Urbanears have progressed compared to their more taxing budget end efforts but surely a $49 earphone would be too much to expect in terms of audio quality? 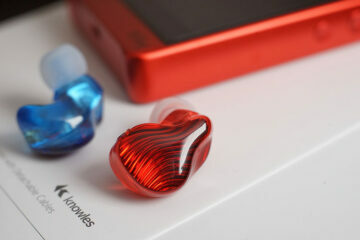 Well with their new Kransen the answer is actually a bit of no and a bit of yes and given the price point I would take that as slight praise because in all honesty I would pick these over the far costlier ADV Alpha which I reviewed only last week. Not because the fidelity is leaps and bounds above the Westone, just things cannot get any darker than the Alpha and that benchmark has stuck in my head now for a few days. The guys at Beyond the Box asked me to pick a color and being around Halloween I said Pumpkin. Yeah I don’t need manly colors, give me orange any day of the week and lets roll with the taunts! Besides orange is more fun with the DSLR and I had an orange Aiaiai Swirls 2.0 previously so maybe its a fetish and I am in denial. Yes I could have got black, blue, green etc up to 10 colors all in pretty names like Pumpkin, Clover etc but I guess I just wanted to avoid black and pure boredom at another “me too” sub $50 creation. IEM’s should have some sort of personality right? Mind you with the Kransen, and given its price point I guess you do not get much else in the package other than an origami black belt level in card board folding and some extra tips (small, medium and large). No pouch or hard case to speak of which I honestly wish they would think off to keep the orange shiny and clean. What you do get, and something I have visited before, is their “paten pending” cable loop right angle jack system and an idevice ready mic and remote on the left cable after the y-splitter and an interesting “SnapConstruction” locking system for the two ear driver units to come together as one. Actually it works ok for me, no issues on using either the cable loop and the SnapConstruction for daily use. It does actually keep things relatively tidy. 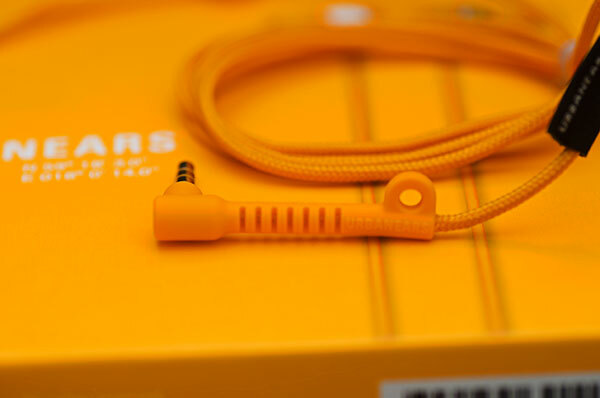 Beyond that the Kransen cable is finished in a soft nylon wrap but sadly no cable tension relievers at the eardriver side but it doesn’t seem fragile. Microphonics is low below the cable split but fairly present beyond it with even minute taps travelling quickly up the cable. I would have loved if this was an over the ear experience to cut down on the microphonics but fit wise I had no issues with the Kransen with a decent seal also with the supplied silicon tips. I wouldn’t advise changing them for foam or comply, the sound signature will take a dive and you will understand why as you read on. Click on next page for general sound impressions..
A little after the first month I owned the left earbud started losing sound. It was barely noticeable at first, but it kept getting increasing faint. I used them infrequently and just said to myself “Meh, I guess I won’t buy Urbanears again because their soldering fails”. Then I thought, maybe it was just a one-off, let’s see how easy it is to deal with their warranty. I found out the hard way — their warranties aren’t worth the paper they are written on. Their customer service takes days to reply. Then, they ask for redundant information to try to get you frustrated. Worse yet, they just go dark and you have to say, “can you please give me an update”? At the end of all that hassle they still denied my warranty and offered me a 20% discount instead. Ah, thanks but no thanks. 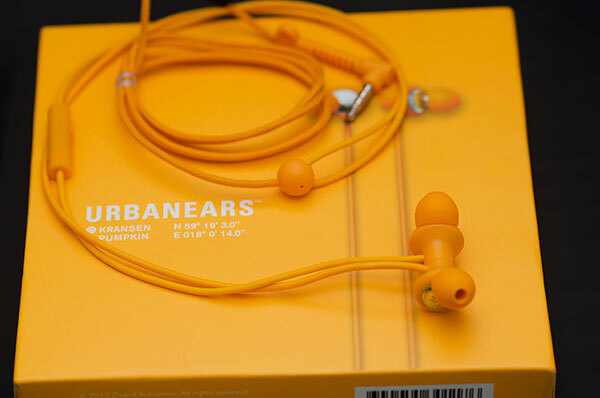 Bottom line — there are plenty of excellent headphones out there; it’s just that Urbanears doesn’t make any. I think it should, I dont have one but most reviews that tried it with an iphone say it will. Giggle worthy, thank you for enduring them for us.